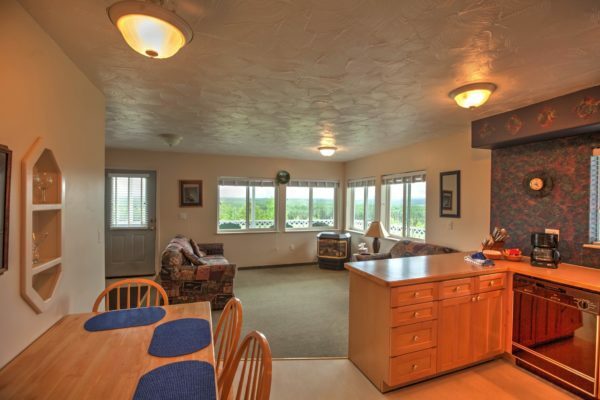 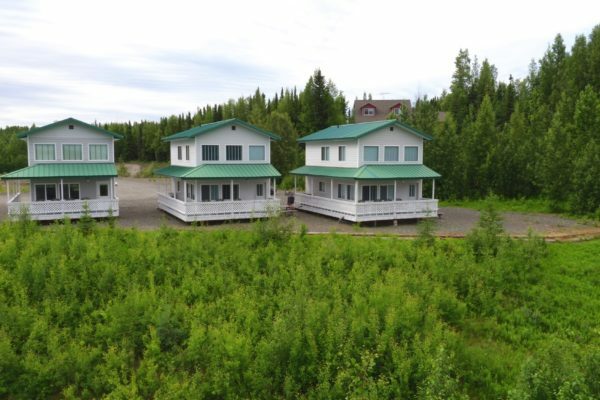 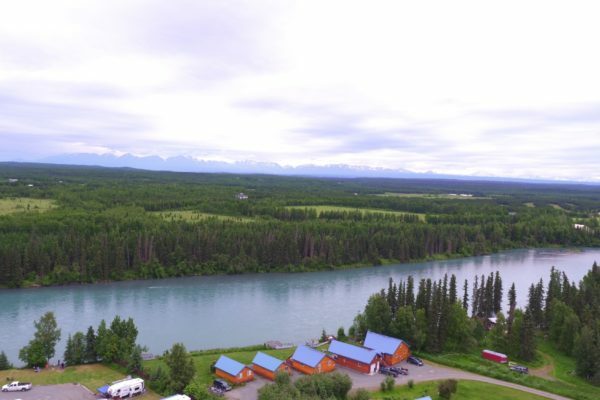 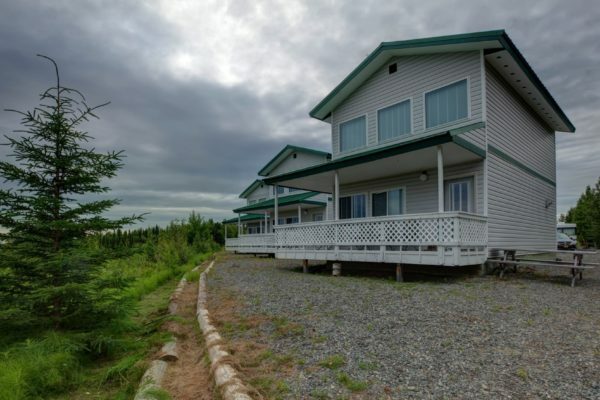 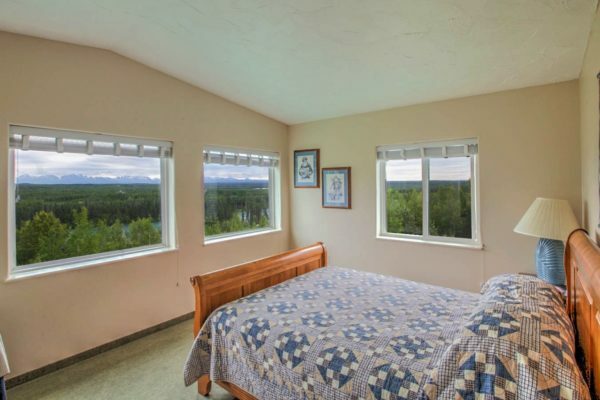 Looking for a great place to stay with fishing access to the middle Kenai River? 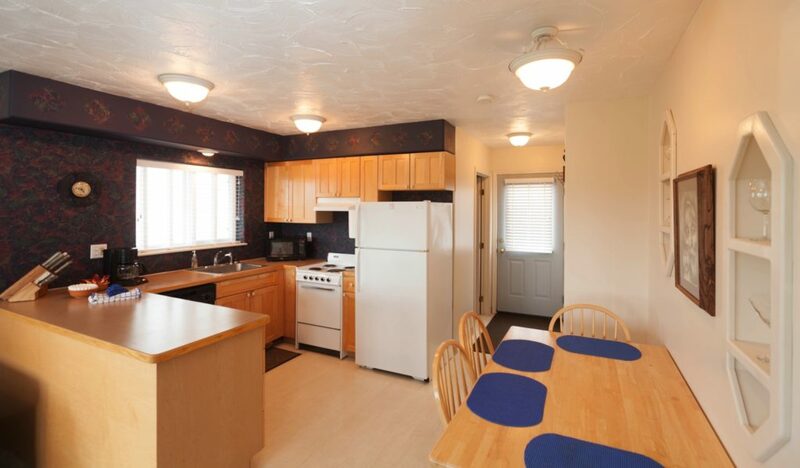 Look no further than Castaway Riverside. 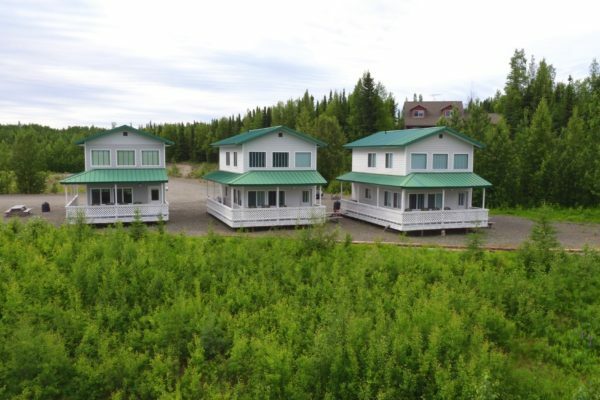 Castaway is the newest addition to our family of incredible Alaska lodging options and offers a lower-cost alternative to our other two lodges. 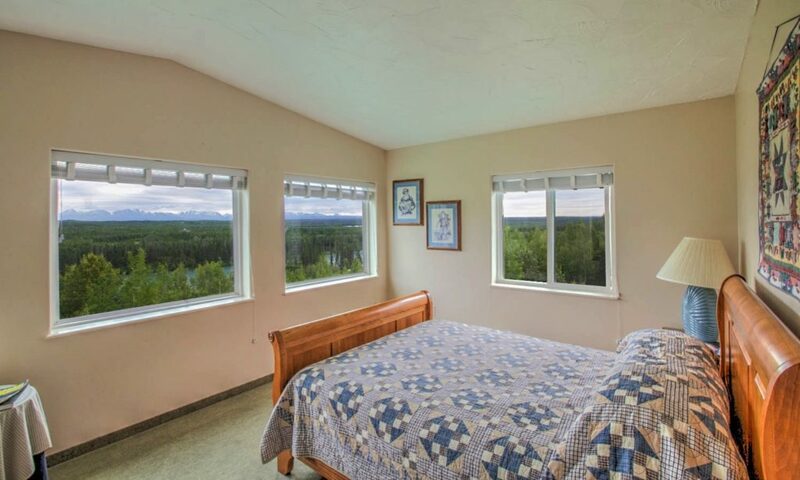 Castaway Riverside features three comfortable rooms in our main lodge as well as three family-friendly stand-alone cabins. 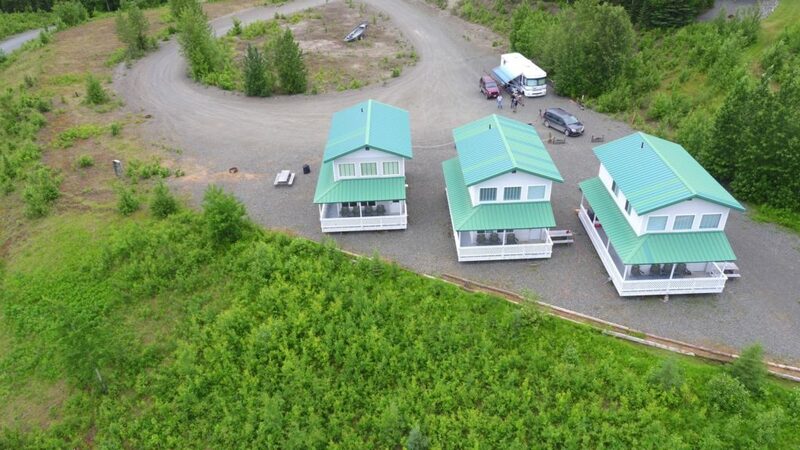 We also have great RV sites for rent right on the property. 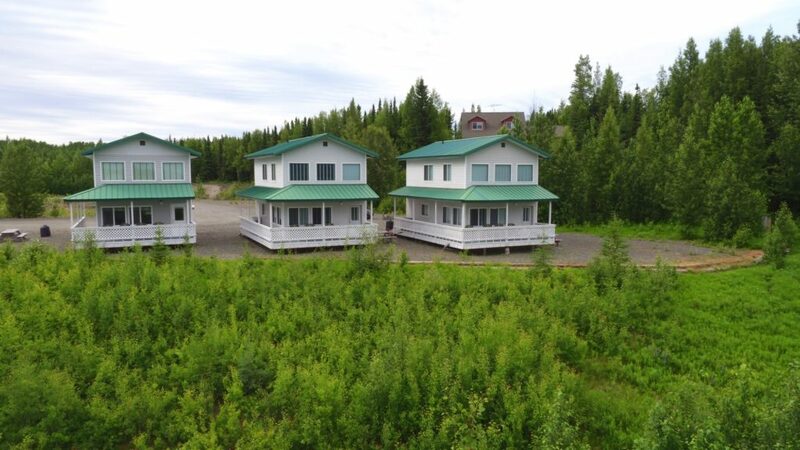 Castaway Riverside is situated right on the river. 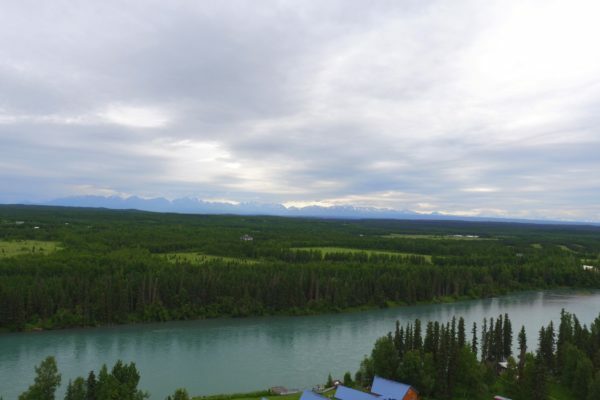 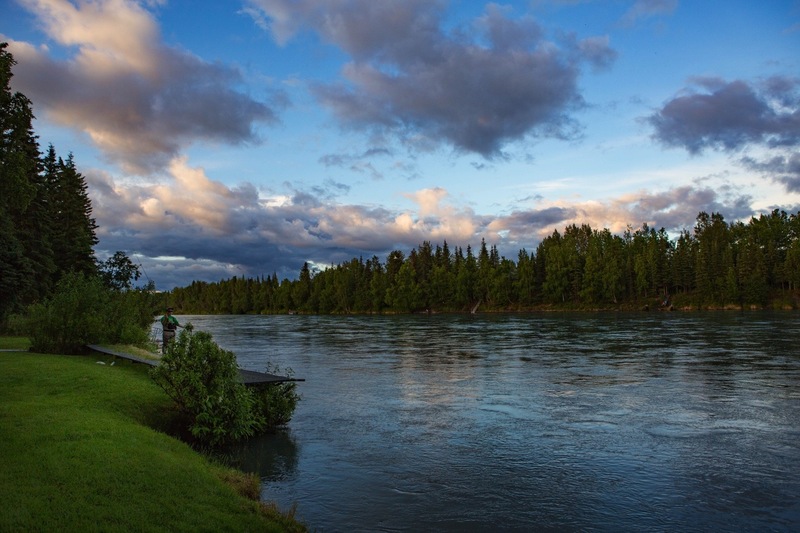 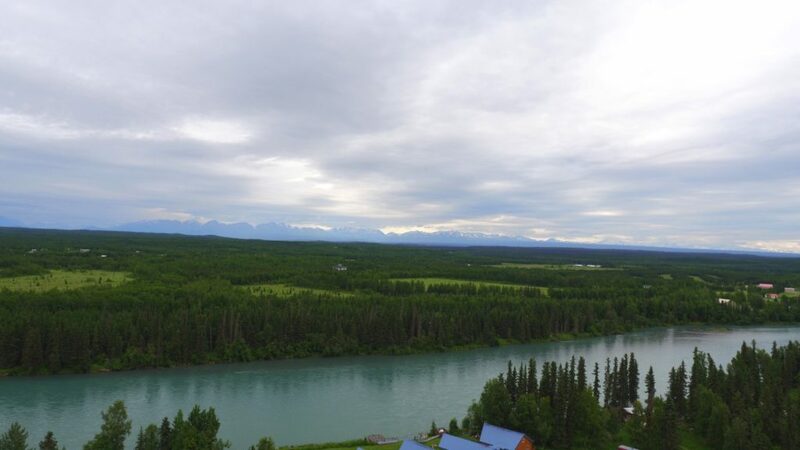 This serene portion of the Kenai River is known for its sockeye and silver salmon as well as trophy rainbow trout and we have access to it all. 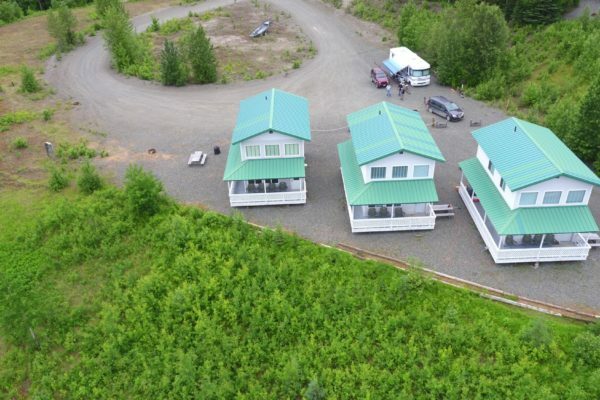 Come join us on our private 140 ft fishing dock! 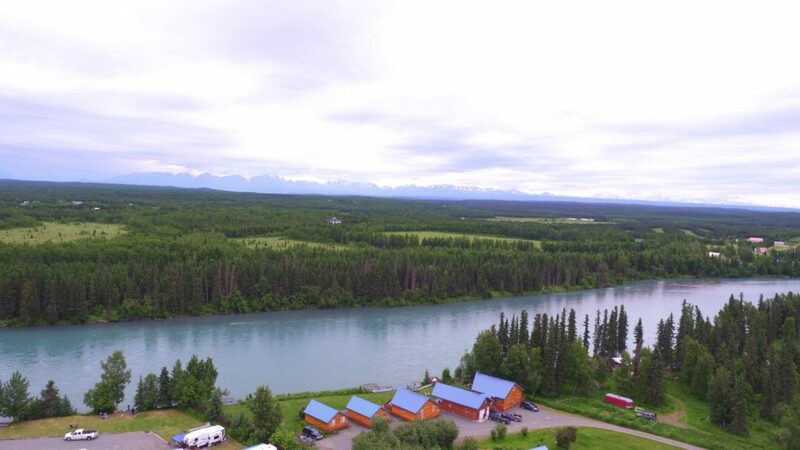 Castaway Riverside is the perfect place if you just want to get-away for some beautiful scenery on the Kenai River in Sterling, Alaska! 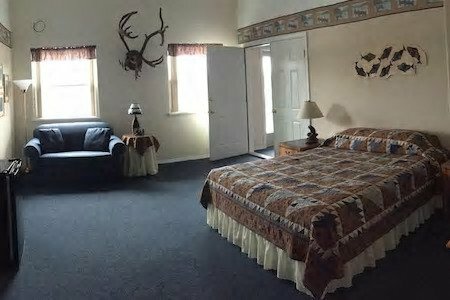 We feature three well-appointed rooms in our main lodge at Castaway Riverside. 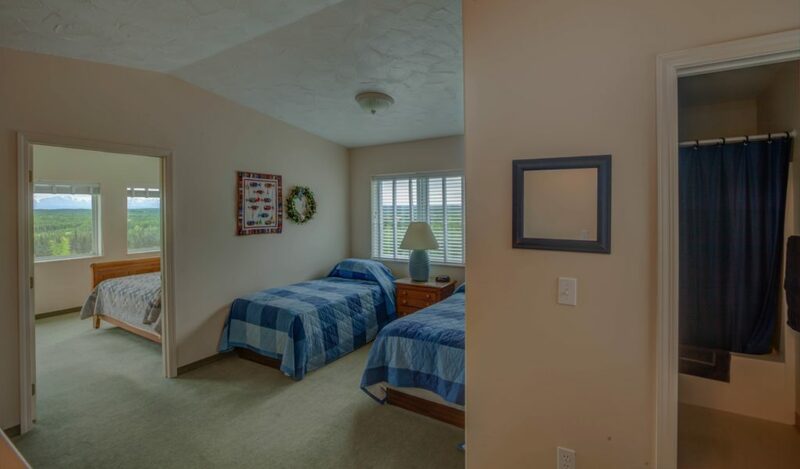 A two room suite is available for families with a maximum 5 person occupancy. 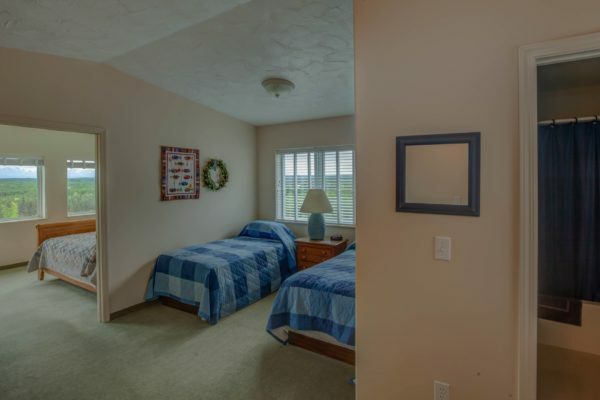 We also have two one bedrooms each with a king bed and a pullout. 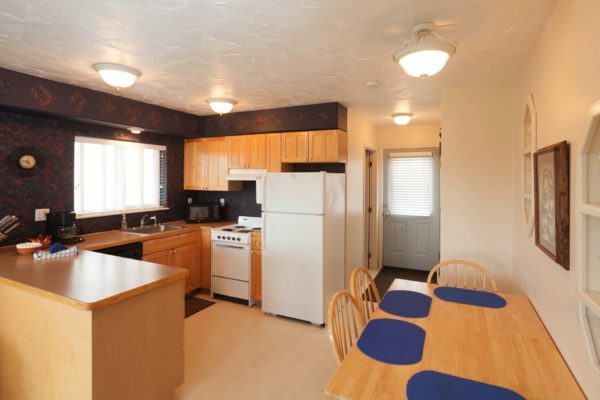 Each room also features a microwave and a mini-fridge. 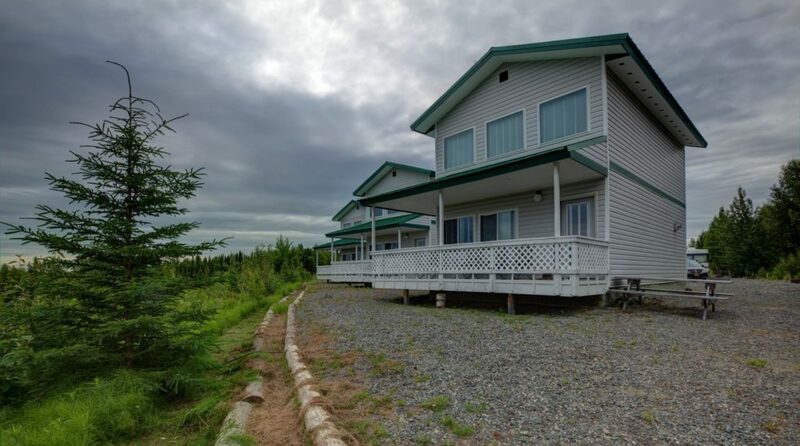 Our main lodge has great decks looking out over the river valley and wifi is included with your stay.